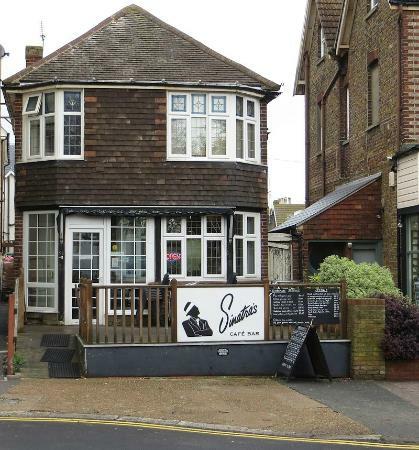 The Sinatra's Cafe Bar (licensed) is located right in the centre of the High Street in Broadstairs and offers seating inside and outside on a wooden terrace. 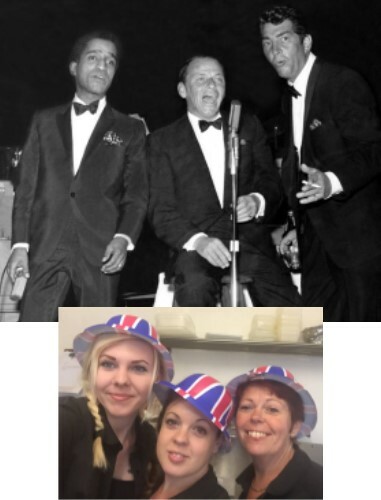 It is slightly themed to Frank Sinatra and has some black and white movie photographs featuring Sinatra and other well known movie stars, with light appropriate music playing in the background. I visited on a Tuesday afternoon and I enjoyed the peace and quiet atmosphere. The staff were friendly and the presentation of the food on unusual white cutlery was a nice surprise. The food was very nice and I would certainly go back when I am in the area again. Clean, fresh food with immaculate cleanness to both food and inside seating and table areas. It took a rather a long time to serve the food, but was well worth the wait. Perhaps, customers should be informed if the meal would take some time to present. I can recommend Sinatra's Cafe Bar - although it is advertised as a Cafe Bar, I think it is a tea room! Car parking is tricky, but paid parking is in ample supply. Following a recent visit, this establishment does now lean to a cooked meal cafe, rather then an traditional English Tea Room, but still nice nevertheless..!